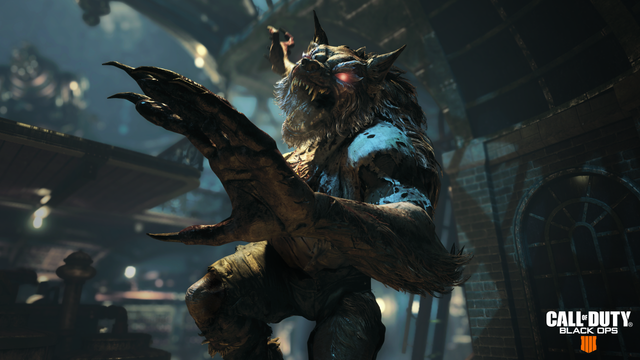 Call of Duty: Black Ops IV has been out for a few months now but due to not finishing talking about Call of Duty: WWII's final Zombies map I had been unable to move onto talking about this one. This time around the game is split into three sections: Multiplayer, Blackout, and Zombies. Blackout is Call of Duty's version of Battle Royale. Up to 100 people are dropped onto an island with the goal to be the last one standing. Classic Black Ops locations are used as locations on this map, including one such location called Asylum which happens to contain within it the Zombies map Verruckt! So depending on where you go in Blackout it is possible to encounter zombies which certainly spices things up a bit. For the Christmas period the zombies were wearing Santa hats which was pretty funny. Zombies itself then, this launched with four maps. A few weeks back a fifth map was released out of nowhere so I will talk about that too. 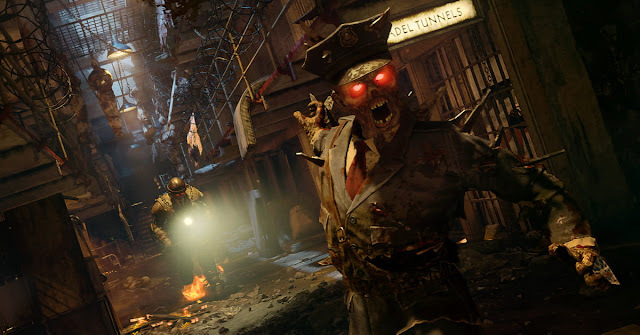 The launch maps were made up of Voyage of Despair, IX, Blood of the Dead and Classified. Voyage of Despair takes place aboard the Titanic just after it has been hit by an iceberg. 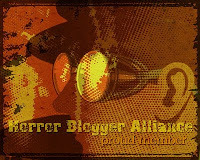 You play as one of four characters: Scarlett, Diego, Bruno or Stanton who had been on the ship to carry out a heist. During this attempt though an ancient relic got activated which turned most the passengers into brain dead ghouls. The map is long and large with there being multiple floors. As well as the deck there are flooded engine rooms, living quarters, dining areas and various other places. 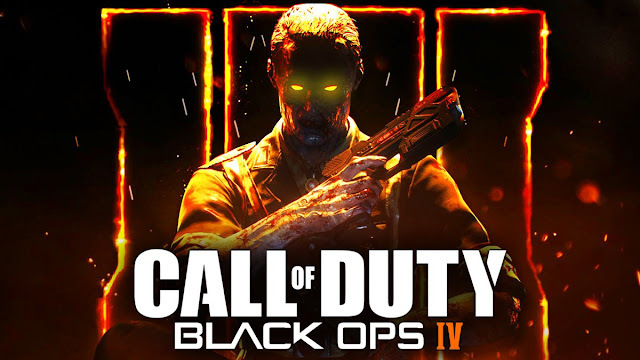 It is wave based as per the norm and being made by Treyarch it is well designed and fun to play. IX takes place in a gladiatorial arena in ancient Egypt. This time around after taking a strange potion the four heroes find themselves transported back in time, forced to fight zombies for the amusement of a watching crowd. This map really grew on me as it does something a little different. At the start you choose a path which gives you ever changing challenges to complete, such as get six headshots without missing, or stabbing a set number of zombies to death. The arena has a large underground segment as well as four different themed areas, that of Egypt, Roman, Viking and Forest. The enemies here are also different in that the special round sees zombie tigers attacking rather than dogs, hulking gladiators appear every now and again who have to have their armour destroyed before they can be. Blood of the Dead is a remake of Mob of the Dead that first came out in Black Ops II. It works as a different map due to a few reasons. Firstly you play as the core characters from the Black Ops Zombies series: Nikoli, Richtofen, Dempsey and Takeo who end up trapped in the place after their teleportation device is destroyed. You actually start in the absolute opposite end of the map and I have to say it makes the map a whole lot more fun. There is no 'Afterlife' mechanic either which makes this play much more traditionally. The bonus map at launch was Classified which is a remake of Five from Black Ops. This takes place in the pentagon with again the four main characters. Rather than a straight remake this is remixed with a bunch of new rooms added. Five is one of my favourite Zombies maps and this remake is great, just not as good as the original map due to the larger areas making it feel less confined. Still a great addition though! A few week back the latest map Dead of the Night was released. This again features completely new characters - Gideon, Christina, Jonathan and Godfrey. It seems to be a prequel with various people at a huge dinner party out at a mansion getting caught up in a zombie outbreak. This map is simply gigantic! It is so big that if you are opposite ends of the map from the other players they appear as a pin prick. The mansion itself has three floors to it, while one side has a large graveyard and the other side has a big observatory. As if fighting the undead wasn't tough enough vampires appear around Round 12, these are weaker than zombies but they are faster so you can't escape them easily. And if even vampires were not enough werewolves also appear, these creatures are around seven or eight feet tall and pose quite the challenge. A great map that has me excited to see where this will go next! Zombies is the most biggest package yet with a variety of different modes. Rush is my new favourite. This takes Zombies and turns it into more of an arcade like experience. All weapons are free to buy off walls while the game tasks you with going to specific areas to survive against waves of enemies rather than having free choice in where you go. This stripped back experience is a real thrill to play, it takes away the feeling of wasting time while you get to go to places that normally would be very challenging to unlock. A main complaint with Zombies is just how long games can take. Rush mode makes the play a lot shorter which works as an incentive to play it more. 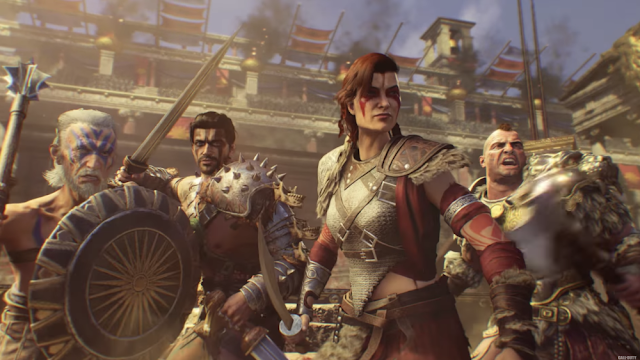 Zombies is the best part of Black Ops 4, it doesn't live up to the stunning Infinite Warfare Zombies mode but it is made by the original developers who created the original Zombies and so is a quality product. Keep an eye on this as on Tuesday a new mode called Gauntlet is due to make an appearance.